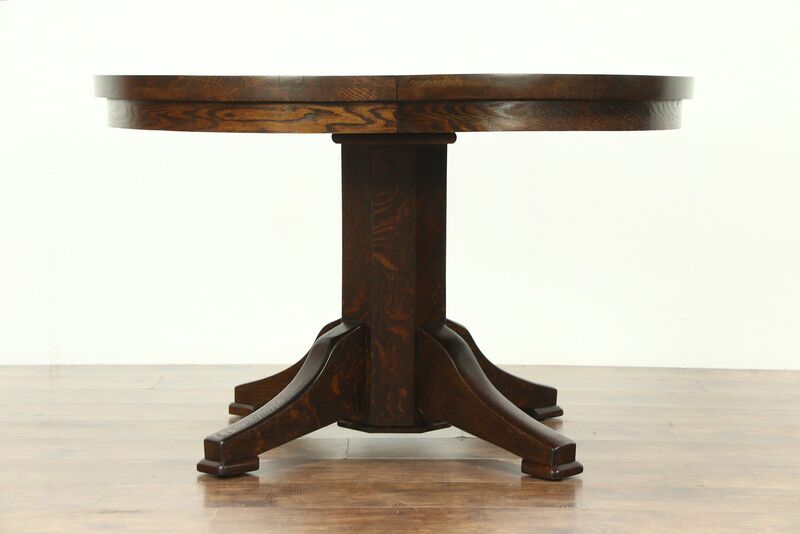 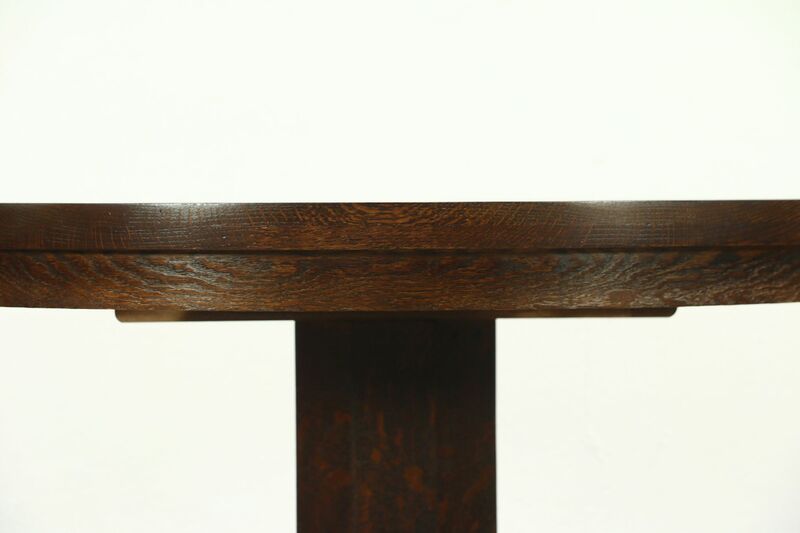 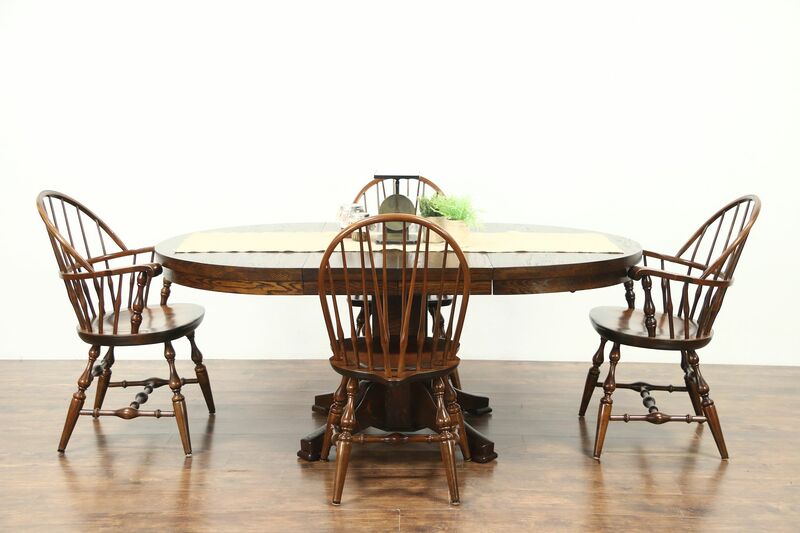 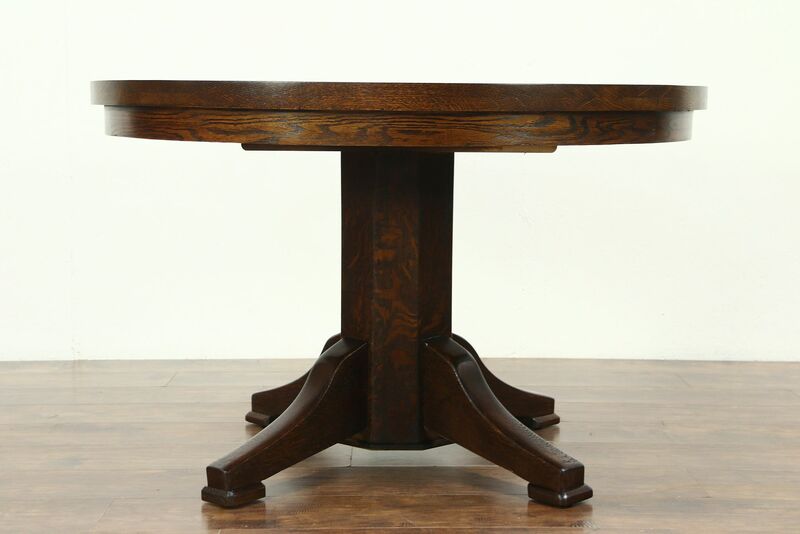 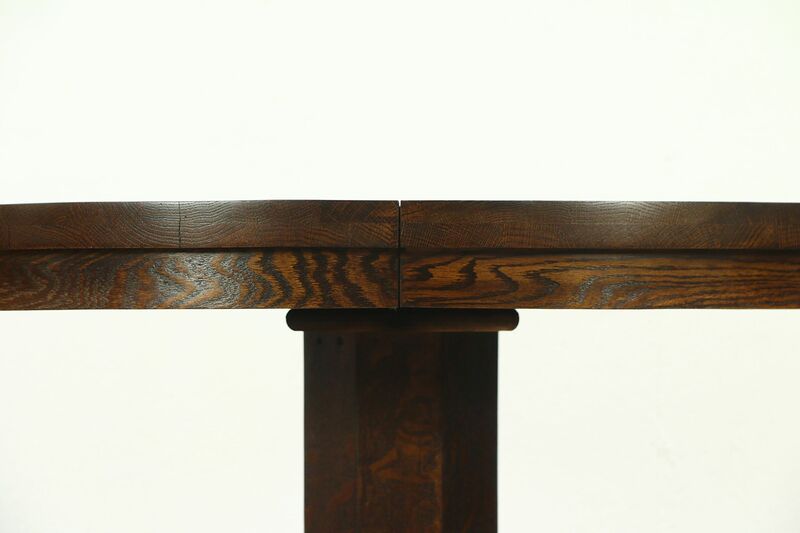 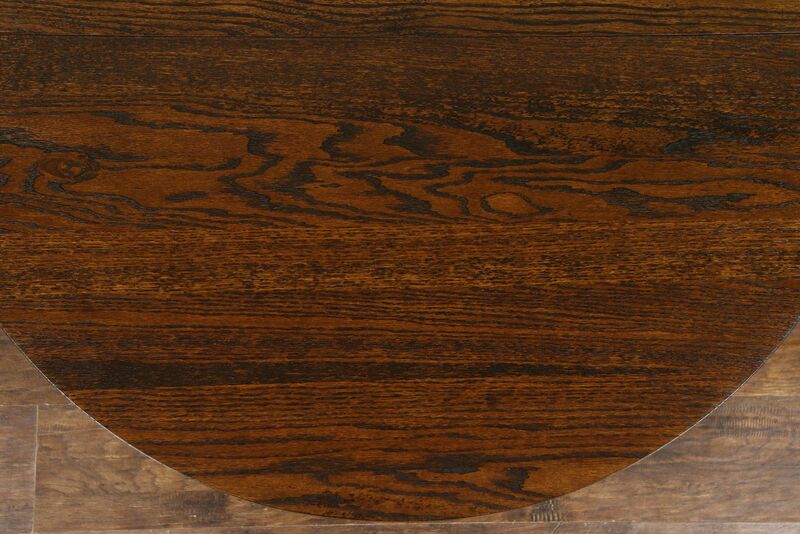 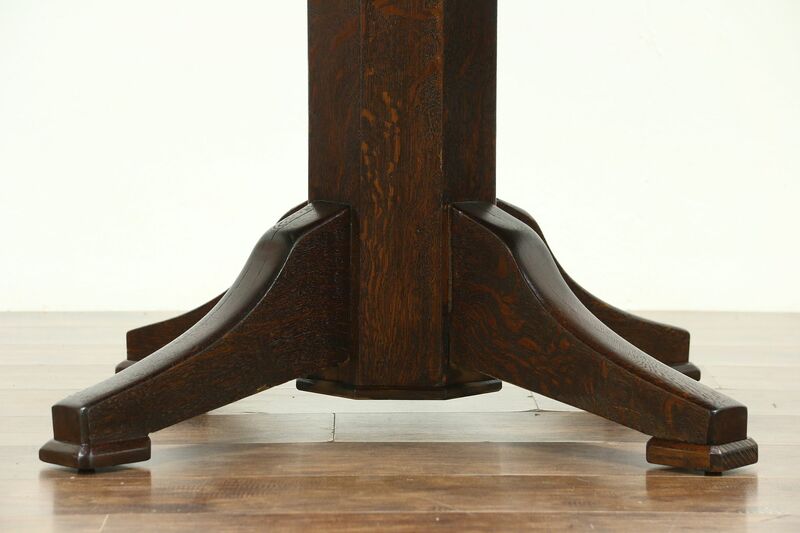 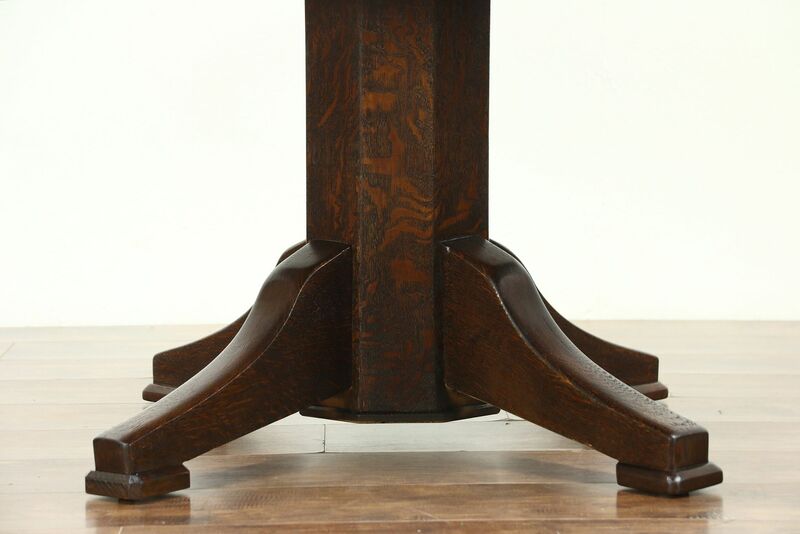 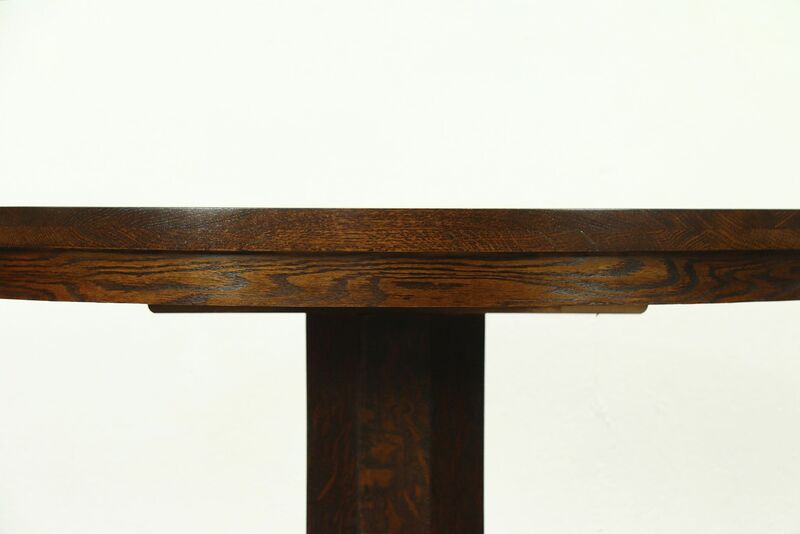 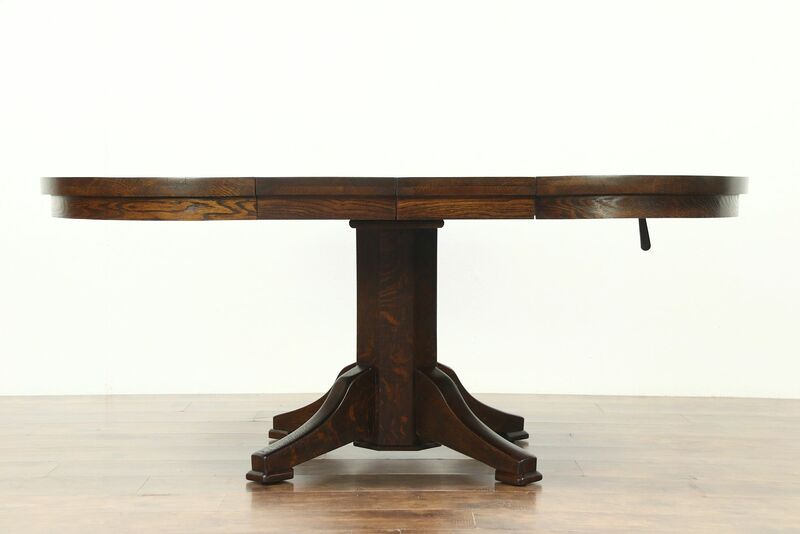 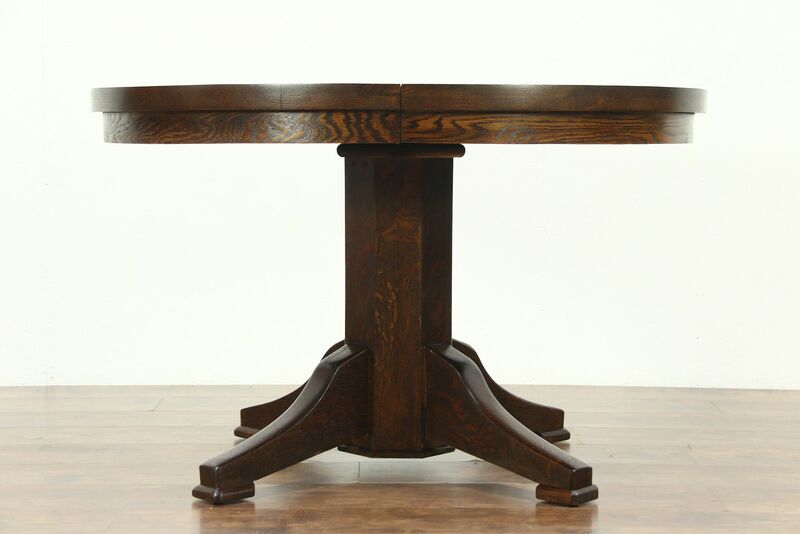 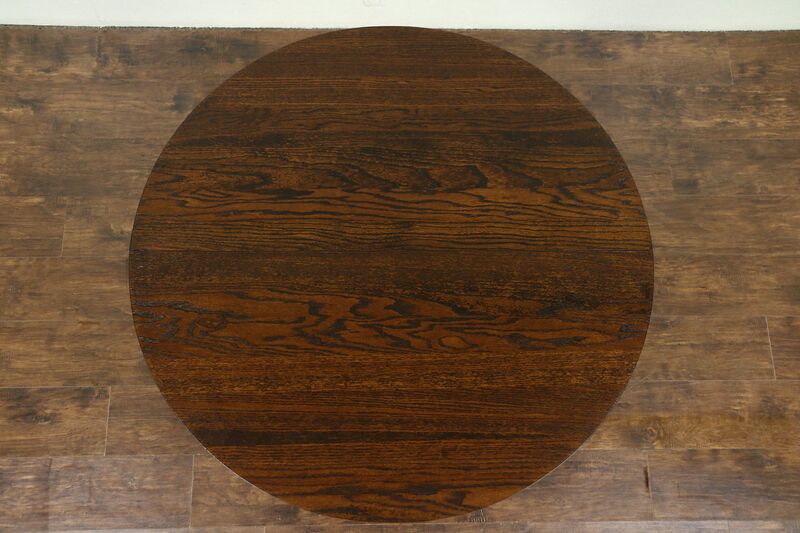 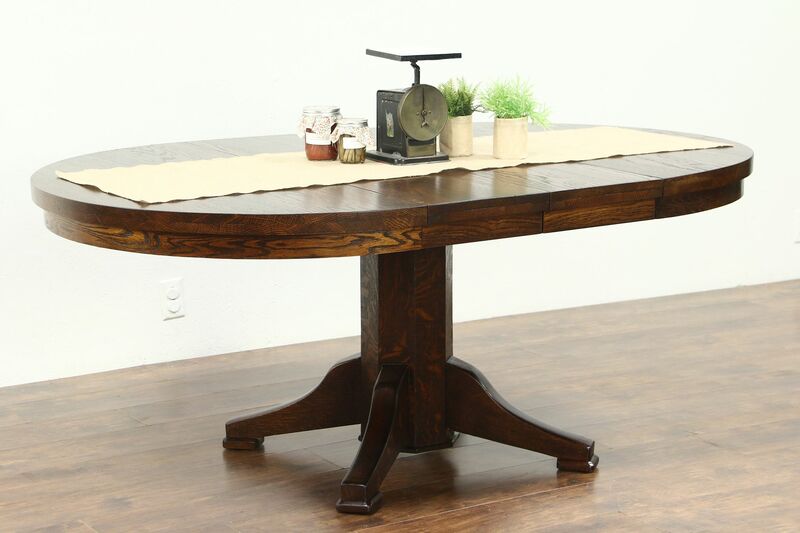 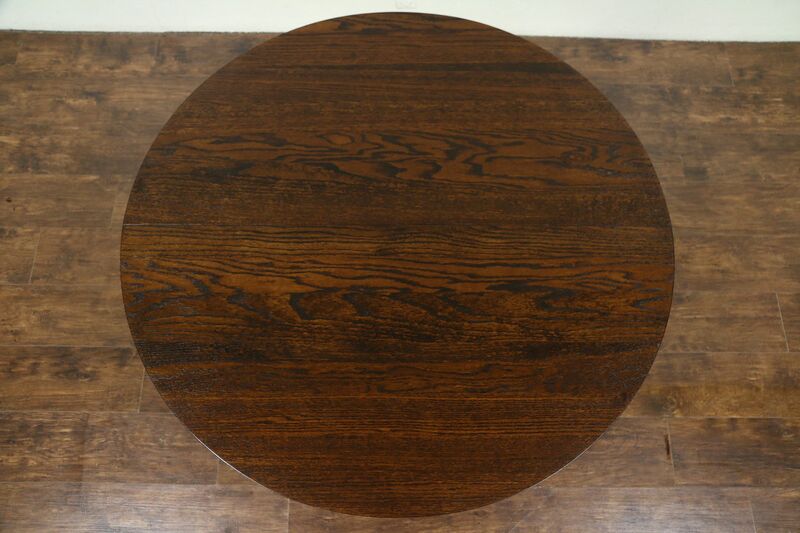 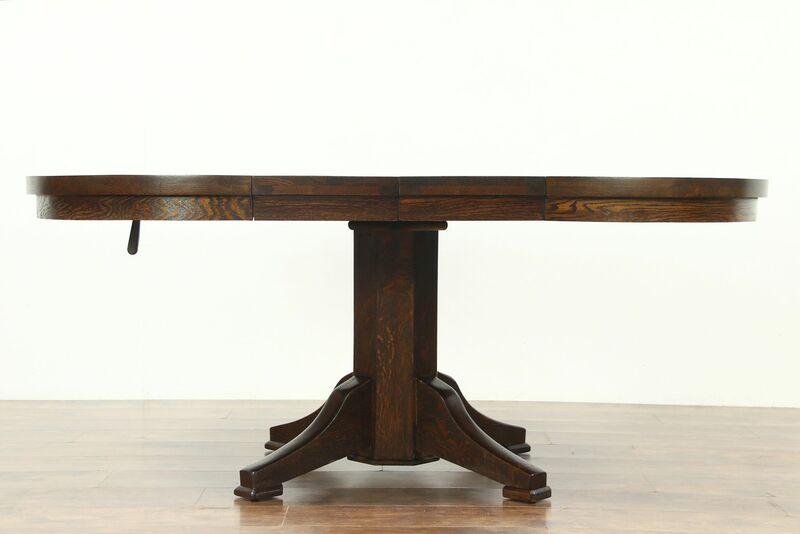 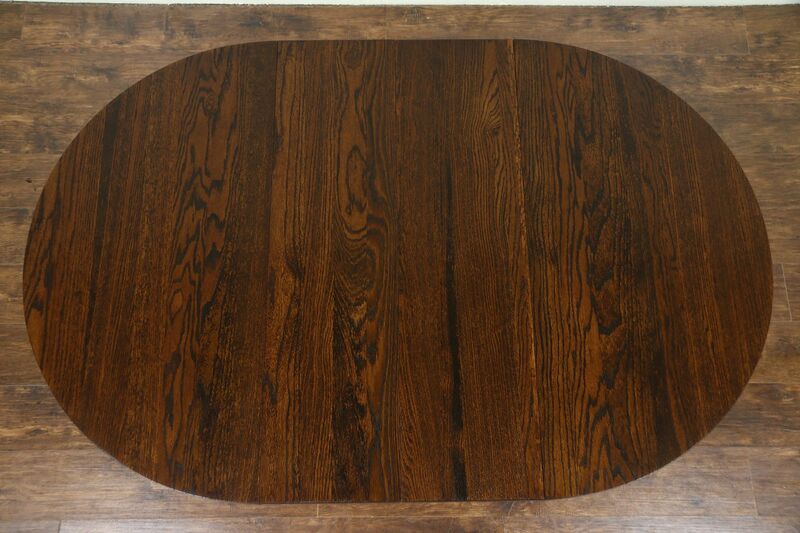 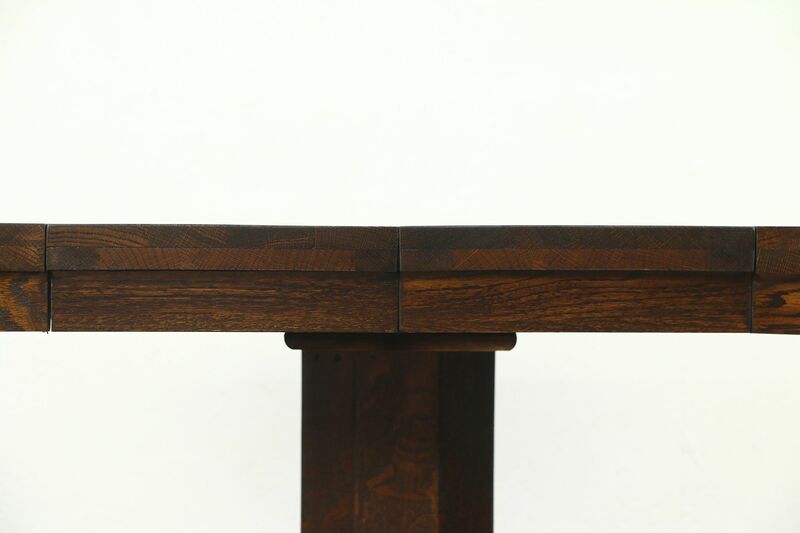 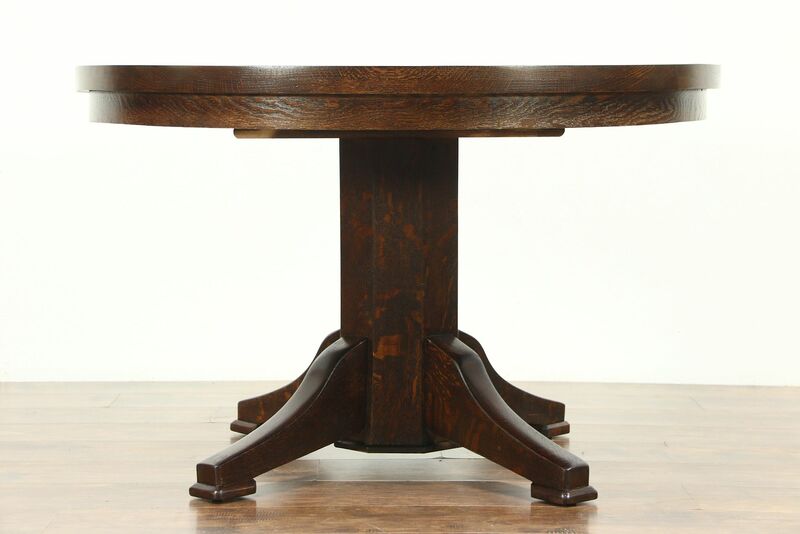 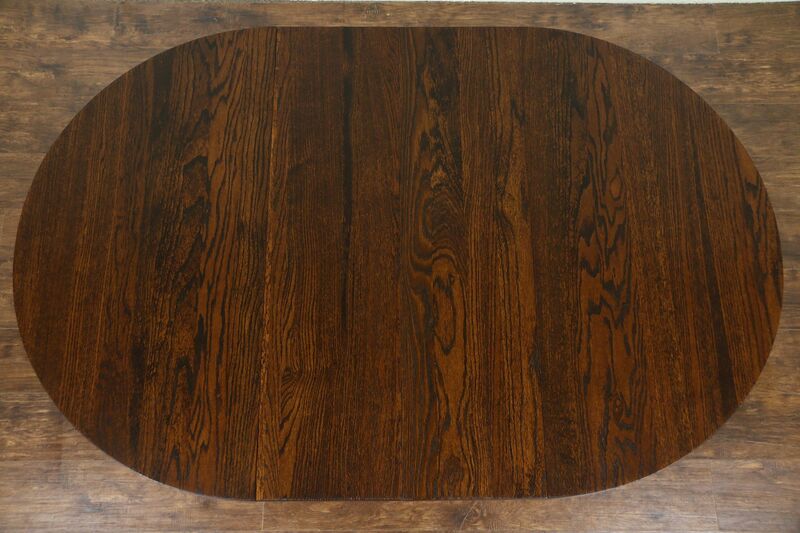 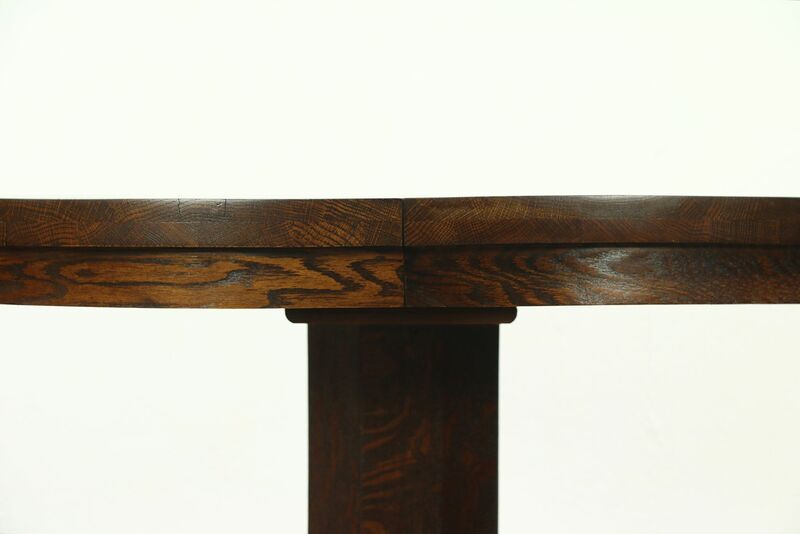 A round solid oak dining table from about 1910 has two 12" wide leaves and shows Craftsman influence. 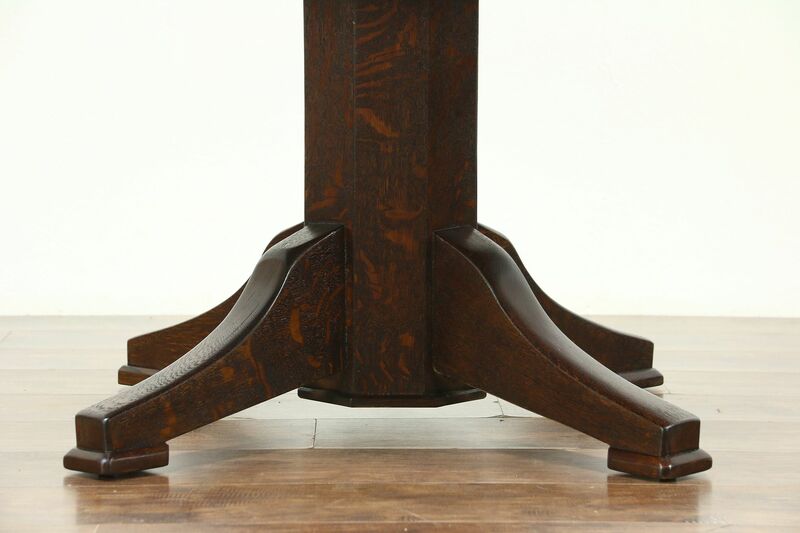 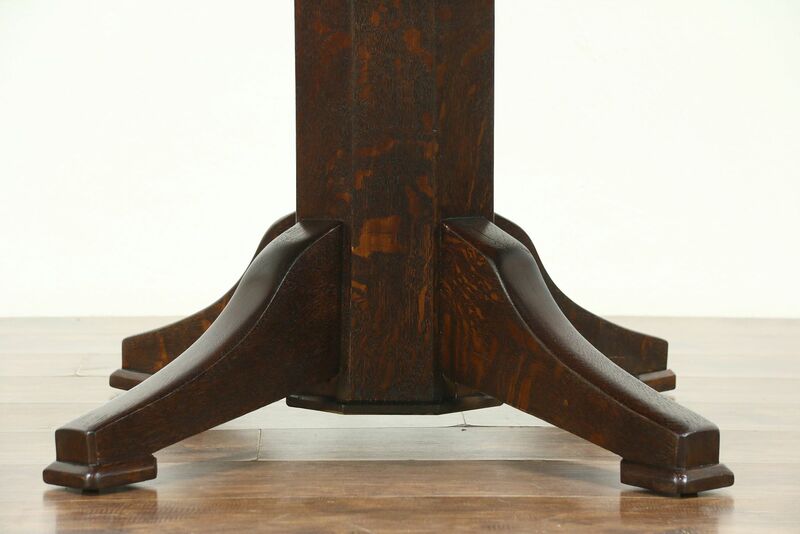 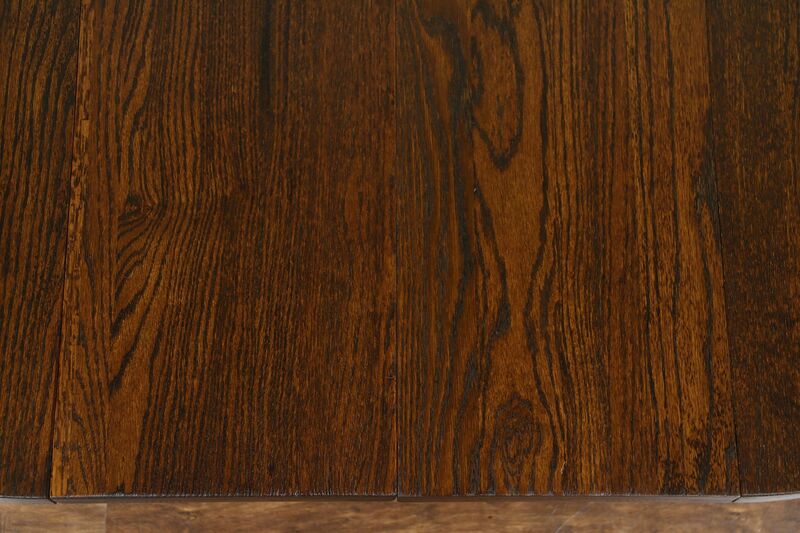 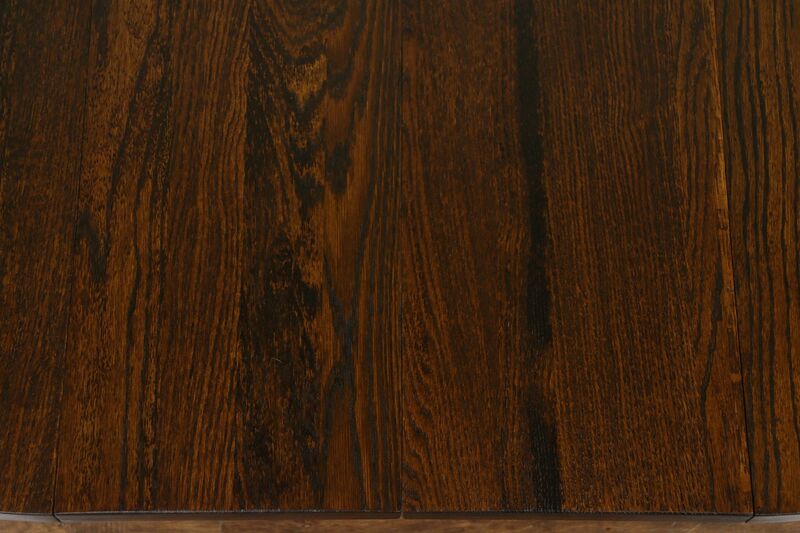 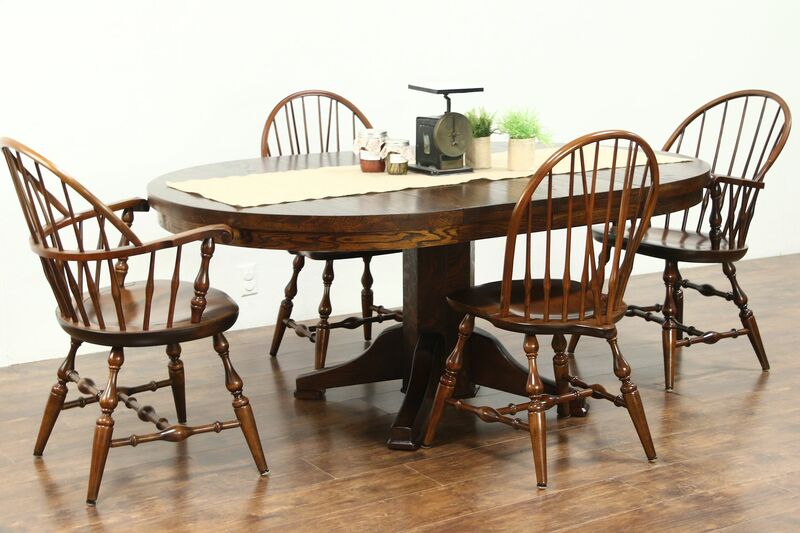 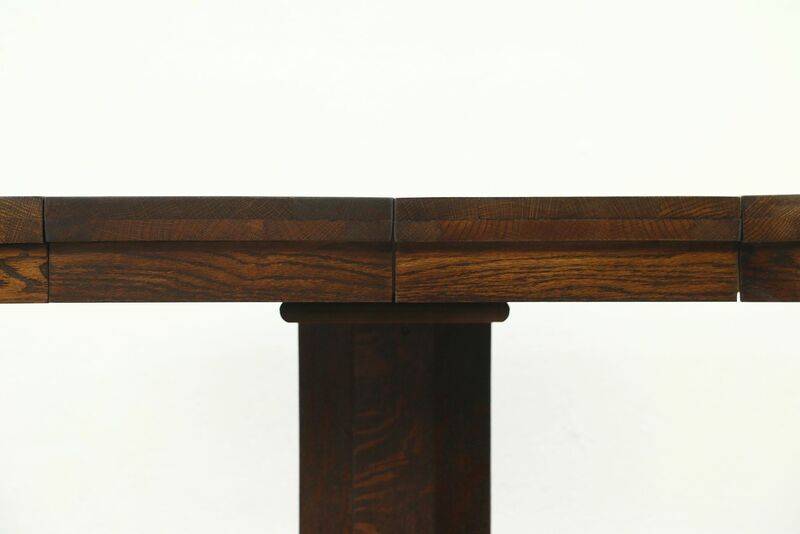 The deep restored finish is in excellent condition on this American made antique furniture. 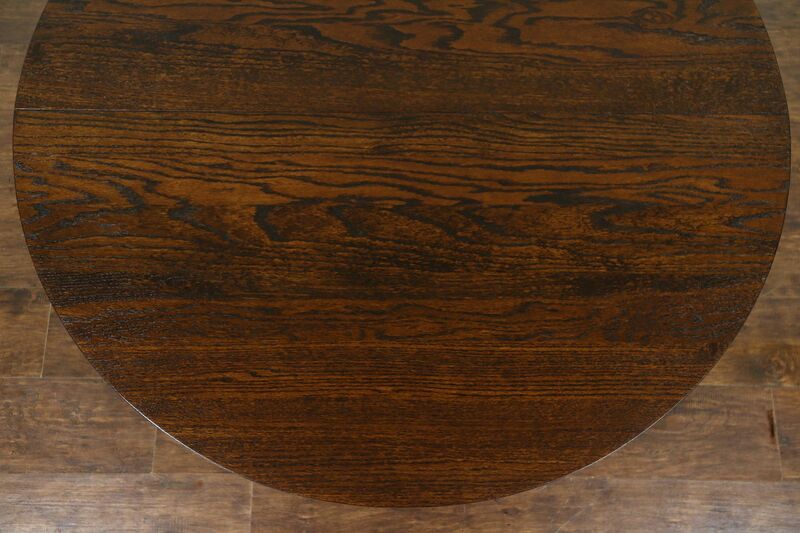 Leaves fit well and have matching skirts or aprons. 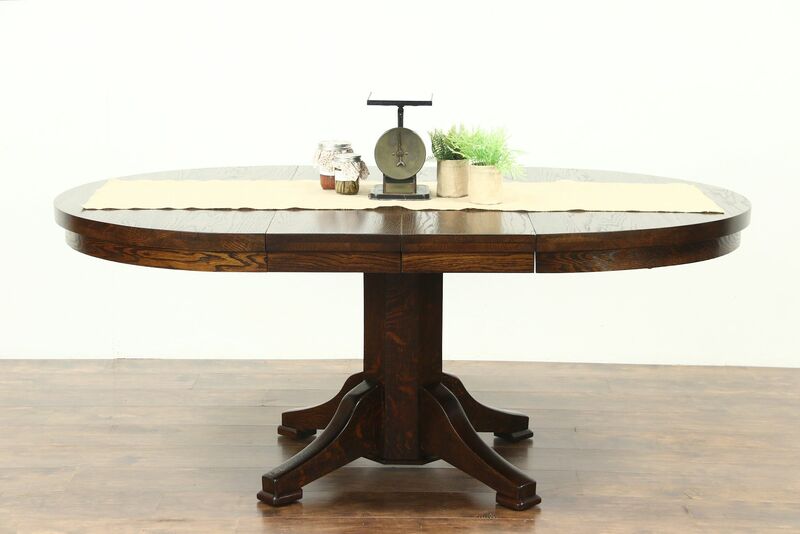 Measurements are 45" diameter, 28" tall, legroom is 24 1/2" and with both leaves in place, length is 69" overall.